SKU: EIN23. Category: Kutch Collection. Tags: India, Kutch, one of a kind, Rabari embroidery, traditional handicraft, vintage, hand embroidered, tribal. A stunning, one of a kind, hand embroidered, cushion cover. 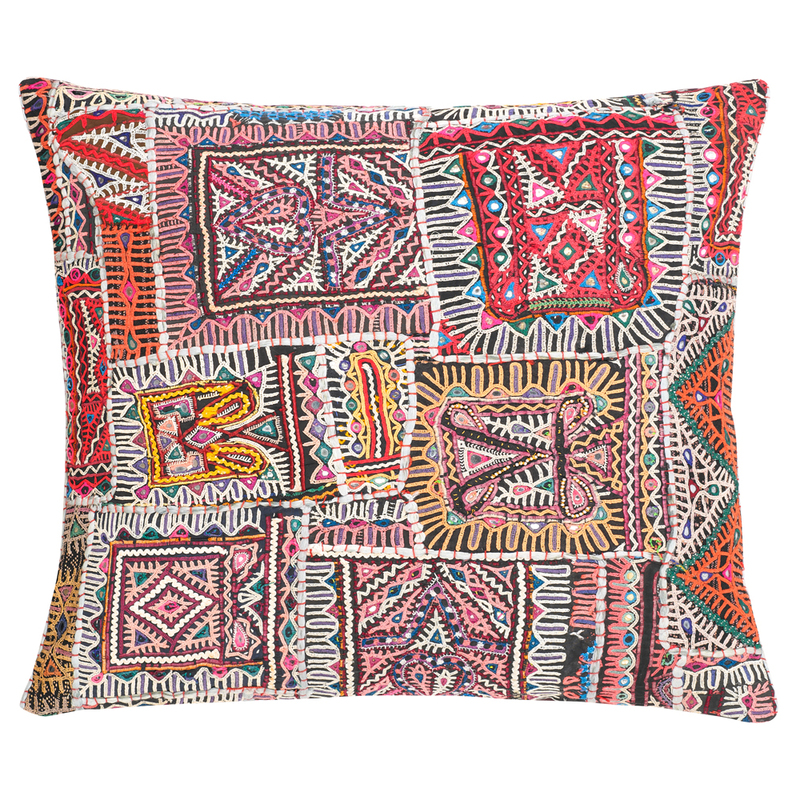 This vibrant cushion cover has been embroidered with traditional stitches and motifs by a woman from the Rabari tribe. The Rabaris are a semi-nomadic tribe living in Kutch and Rajasthan. The motifs have been handed down from mother to daughter over generations but each piece of embroidery is different. Scroll over the images to see the design in more detail. 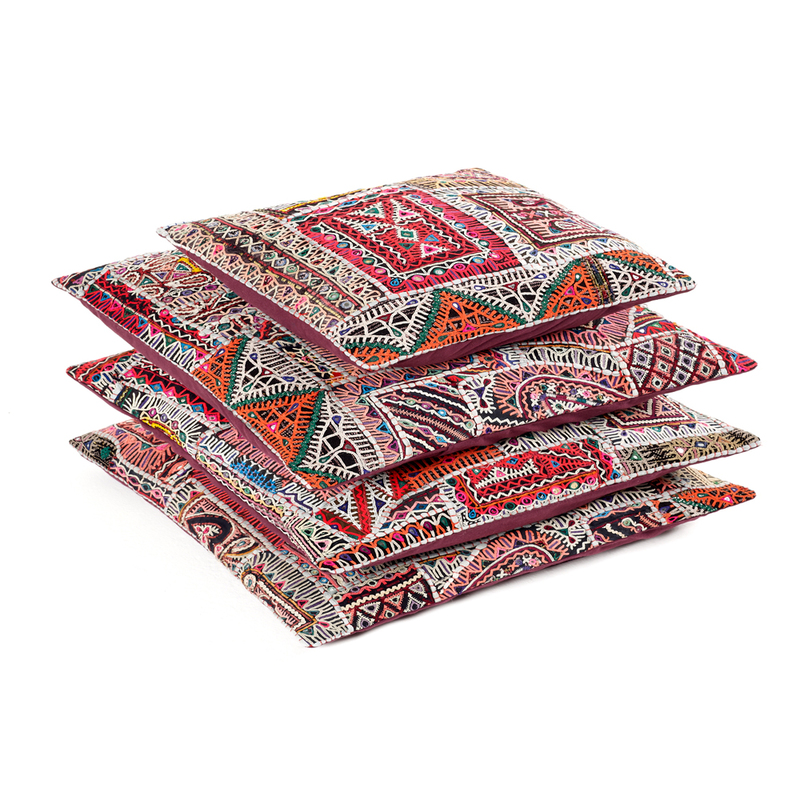 This bold, colourful, cushion cover works well in a modern home and will add interest, patter and colour to a room. Please note that the inner pad is not included with this cushion cover.